Today's Labor Updates, January 26, 2019 | Oliver Bell, Inc. According to Labor Department data, there were 10.6 million independent contractors in the U.S. 2017, or almost 7 percent of the country’s workforce. The NLRB ruling could impact businesses across various industries that rely on contractors rather than full-time employees. A panel of federal judges late last month ruled against a 2015 decision from the NLRB that made it easier to hold companies responsible for conduct by franchisees and contractors. The U.S. Court of Appeals for the D.C. Circuit found the labor agency did not properly define the type of “indirect control” over working conditions that would make companies joint employers of franchise and contract workers. According to a report recently released by the Bureau of Labor Statistics, union membership declined slightly in 2018 to 10.5 percent of the workforce – down from 10.7 percent in 2017. However, the total number of unionized workers remained basically unchanged, hovering around 14.7 million workers. This decline in union members as a percentage of the workforce is consistent with a long term trend of declining union membership rates. For instance, in 1983, the first year the BLS published union membership data, the union membership rate stood at 20.1 percent – nearly twice what it was in 2018. The union membership rate for public workers is 33.9 percent, a rate more than five times higher than for workers in the private sector, where only 6.4 percent of workers are union members. Workers in protective service occupations had the highest union membership rate of any occupation group at 33.9 percent, followed closely by education, training, and library occupations, at 33.8 percent. Men continued to have a higher union membership rate, 11.1 percent, than women, who were union members at a rate of 9.9 percent in 2018. Union membership rates in Hawaii (23.1 percent) and New York (22.3 percent) were the highest, while North and South Carolina (2.7 percent each) had the lowest rates. More than half of the nation’s 14.7 million union members lived in just seven states: California (2.4 million), New York (1.9 million), Illinois (0.8 million), Pennsylvania (0.7 million), Michigan, Ohio, and Washington (0.6 million each). In addition to these numbers relating to union members, there were an additional 1.6 million workers whose jobs were covered by a union contract but who were not union members. The full 2018 union members report is available from the Bureau of Labor Statistics. As noted earlier, the slight decline in union membership rates in 2018 is consistent with the long term decline in such rates. 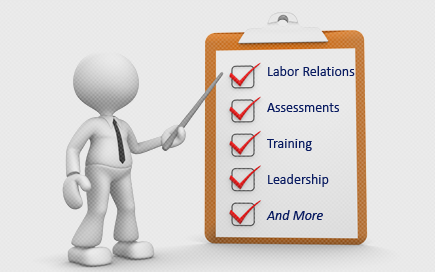 Stay tuned to the BT Labor Relations Blog for updates regarding the dynamic world of labor relations. NP Sunset LLC d/b/a Sunset Station Hotel Casino (28-CA-225263; 367 NLRB No. 62) Henderson, NV, January 7, 2019. The Board granted the General Counsel’s Motion for Summary Judgment in this test-of-certification case on the ground that the Respondent failed to raise any issues that were not, or could not have been, litigated in the underlying representation proceeding in which the Union was certified as the bargaining representative. The Board found that the Respondent violated Section 8(a)(5) and (1) by failing and refusing to recognize and bargain with the Union and by failing and refusing to furnish the Union with requested information that was relevant and necessary to the Union’s performance of its duties as the exclusive collective bargaining representative of the unit, with the exception of employee social security numbers. Charge filed by International Union of Operating Engineers Local 501, AFL-CIO. Chairman Ring and Members McFerran and Kaplan participated. Chinchilla Theatrical Scenic, LLC (22-CA-200613; 367 NLRB No. 65) North Bergen, NJ, January 7, 2019. The Board granted the General Counsel’s Motion for Default Judgment based on the Respondent’s failure to file an answer to the complaint. The Board found that the Respondent violated Section 8(a)(5) and (1) by, without the Union’s consent, failing to continue in effect the terms and conditions of employment provided in the collective-bargaining agreement by failing to pay unit employees’ wages under the terms of the agreement. Charge filed by International Alliance of Theatrical and Stage Employees, Local 8. Chairman Ring and Members McFerran and Emanuel participated. Tinley Park Hotel and Convention Center, LLC (13-CA-141609; 367 NLRB No. 60) Tinley Park, IL, January 8, 2019. In the absence of exceptions, the Board adopted the Administrative Law Judge’s conclusion that the Respondent violated Section 8(a)(1) by promulgating and maintaining certain overbroad work rules. The Board also adopted the judge’s conclusion that the Respondent violated Section 8(a)(1) by discharging an employee for violating one of the unlawfully overbroad work rules. Chairman Ring and Member Emanuel applied Continental Group, Inc., 357 NLRB 409 (2011) andDouble Eagle Hotel & Casino, 341 NLRB 112 (2004) in the absence of a request by any party to reconsider these decisions. However, they noted they would be willing to revisit that precedent in a future appropriate case. Charge filed by an individual. Administrative Law Judge Charles J. Muhl issued his decision on June 16, 2015. Chairman Ring and Members McFerran and Emanuel participated. Waste Collection, Corp. (12-CA-215638; 367 NLRB No. 63) Cidra, PR, January 8, 2019. The Board granted the General Counsel’s Motion for Default Judgment based on the Respondent’s failure to file an answer to the complaint. The Board found that the Respondent violated Section 8(a)(1) by threatening its employees with job loss and plant closure, telling its employees that it would not bargain with the Union, and interrogating its employees about their and other employees’ union membership, activities, and sympathies. Charge filed by Central General de Trabajadores. Chairman Ring and Members McFerran and Emanuel participated. Montecito Heights Healthcare & Wellness CENTRE, LP (31-CA-129747; 367 NLRB No. 57) Los Angeles, CA, January 9, 2019. The Board found that, in light of the Supreme Court’s decision in Epic Systems Corp. v. Lewis, 138 S. Ct. 1612 (2018), which overruled the Board’s decision in Murphy Oil USA, Inc., 361 NLRB 774 (2014), enf. denied in relevant part, 808 F.3d 1013 (5th Cir. 2015), the complaint allegation that the Respondent’s maintenance of its Alternative Dispute Policy violated Section 8(a)(1) must be dismissed. Charge filed by Service Employees International Union, United Long Term Care Workers. Administrative Law Judge Raymond P. Green issued his decision on November 30, 2016. Chairman Ring and Members Kaplan and Emanuel participated. Coastal Marine Services, Inc. (21-CA-139031; 367 NLRB No. 58) San Diego, CA, January 10, 2019. The Board found that, in light of the Supreme Court’s decision in Epic Systems Corp. v. Lewis, 138 S. Ct. 1612 (2018), which overruled the Board’s decision in Murphy Oil USA, Inc., 361 NLRB 774 (2014), enf. denied in relevant part, 808 F.3d 1013 (5th Cir. 2015), the complaint allegation that the Respondent’s maintenance of its Employee Acknowledgement and Agreement violated Section 8(a)(1) must be dismissed. Charge filed by International Association of Heat & Frost Insulators and Allied Workers, Local 5. Administrative Law Judge Robert A. Giannasi issued his decision on May 1, 2016. Chairman Ring and Members Kaplan and Emanuel participated. Arnold Walter Nursing and Rehabilitation Center (22-CA-180557 and 22-CA-186982; 367 NLRB No. 66) Hazlet, NJ, January 11, 2019. The Board granted the General Counsel’s Motion for Default Judgment based on the Respondent’s failure to comply with the terms of a settlement agreement. The Board found that the Respondent violated Section 8(a)(5) and (1) by failing and refusing to furnish the Union with all of the information it requested and by delaying bargaining over the terms of a successor collective-bargaining agreement. The Board ordered a full remedy for the violations alleged in the reissued consolidated complaint, requiring the Respondent to bargain with the Union and to furnish the Union with the requested information that it had not yet provided. Charges filed by 1199 Service Employees International Union United Healthcare Workers East. Chairman Ring and Members Kaplan and Emanuel participated. Alstate Maintenance, LLC (29-CA-117101; 367 NLRB No. 68) Brooklyn, NY, January 11, 2019. The Board (Chairman Ring and Members Kaplan and Emanuel; Member McFerran, dissenting) adopted the Administrative Law Judge’s conclusion that the Respondent did not violate Section 8(a)(1) by discharging an employee for engaging in alleged protected concerted activity where an airport skycap remarked about previously not receiving a tip for a similar baggage-handling job, and dismissed the complaint in its entirety. In dismissing the complaint, the majority reversedWorldMark by Wyndham, 356 NLRB 765 (2011), finding that WorldMark had deviated from longstanding precedent on protected concerted activity by blurring the distinction between protected group action and unprotected individual action. The Board further held that even if the activity was concerted, it was not protected as it was not aimed at improving a term or condition of employment within the Respondent’s control. Dissenting, Member McFerran would find the Respondent violated Section 8(a)(1) by discharging the employee for his protected concerted activity, and would not have overruledWorldMark. She would find that the employee’s complaint constituted an attempt to initiate a group objection over tips, and thus the employee was engaged in concerted activity for the mutual aid and protection of fellow employees. Charge filed by an individual. Administrative Law Judge Raymond P. Green issued his decision on June 24, 2016. Chairman Ring and Members McFerran, Kaplan, and Emanuel participated. D&H Demolition, LLC (05-RC-183865) Washington, DC , January 9, 2019. The Board denied the Employer’s Request for Review of the Regional Director’s Decision and Direction on Challenges, as it raised no substantial issues warranting review. The Regional Director found that the Employer failed to prove that a voting employee became ineligible to vote by voluntarily quitting his employment. Petitioner—Construction and Master Laborers’ Local Union 11, affiliated with Laborers’ International Union of North America. Chairman Ring and Members McFerran and Emanuel participated. Pomona Valley Hospital Medical Center (21-RC-166499) Pomona, CA, January 11, 2019. On grant of review, the Board affirmed the Regional Director’s Supplemental Decision and Direction to Sustain Certain Challenged Ballots and Count the Remaining Challenged Ballots with respect to the exclusion of the Employer’s 1) Information Technology (IT) Clericals, 2) Workers Compensation Claims Specialist, 3) Education Coordinator, and 4) Telecommunications Technician. The Board also affirmed the Regional Director’s Supplemental Decision with respect to the inclusion of the Applications Specialist and Application Specialist, Perioperative. The Board reversed the Regional Director with respect to the exclusion of the Nursing Service Systems Analysts, Charge Revenue Representatives, System Coordinator Laboratory, and Nursing Staff Coordinators, and the inclusion of the Specialist HIM Data Integrity. In denying review, Member Kaplan agreed with his colleagues that, under existing precedent, the Regional Director properly excluded the IT Clericals set forth above as business office clericals, but in light of the changes in computer systems over the past forty years, it is his view that the Board should revisit its sparse and dated precedent concerning whether IT Clericals should be excluded on that basis, and many of the IT Clericals set forth above should instead be excluded as skilled maintenance employees. Member Kaplan, however, does not believe this is the appropriate case to revisit the precedent on this issue because the Employer did not argue that the IT Clericals should be included in the skilled maintenance unit. Chairman Ring agrees that existing precedent regarding the placement of IT Clericals warrants review in a future appropriate case in light of changes in the nature of IT functions over the past forty years but at this time, he expresses no view as to the potential unit into which such employees would appropriately be placed. Petitioner— Service Employees International Union, United Healthcare Workers-West. Chairman Ring and Members McFerran and Kaplan participated. Whelan Security Mid-Atlantic, LLC (05-RC-220538) Washington, DC, January 11, 2019. The Board denied the Employer’s Request for Review of the Acting Regional Director’s Amended Decision and Direction of Election Correcting the Name of the Employer as it raised no substantial issues warranting review. The Acting Regional Director found the petitioned-for sergeants not be statutory supervisors and to be guards under Section 9(b)(3). In denying review, the Board found no merit to the Employer’s argument that the petition is subject to the recognition bar doctrine and rejected the Employer’s contention, raised for the first time in its Request for Review, that the Acting Regional Director should have directed a self-determination election. Petitioner—Law Enforcement Officers Security Unions LEOSU-DC, LEOS-PBA. Members McFerran, Kaplan, and Emanuel participated. Sierra Verde Plumbing LLC (28-CA-209991) Phoenix, AZ, January 8, 2019. No exceptions having been filed to the November 14, 2018 decision of Administrative Law Judge Jeffrey D. Wedekind’s finding that the Respondent had not engaged in certain unfair labor practices, the Board adopted the judge’s findings and conclusions, and dismissed the complaint. Charge filed by an individual. PAE Aviation and Technical Services LLC (28-CA-203755) Tucson, AZ, January 8, 2019. No exceptions having been filed to the November 9, 2018 decision of Administrative Law Judge Mara-Louis Anzalone’s finding that the Respondent had engaged in certain unfair labor practices, the Board adopted the judge’s findings and conclusions, and ordered the Respondent to take the action set forth in the judge’s recommended Order. Charge filed by International Association of Machinists and Aerospace Workers, Local Lodge 2949, AFL-CIO. Lamb Weston, Inc. (15-CA-207924) Delhi, LA, January 9, 2019. No exceptions having been filed to the November 28, 2018 decision of Administrative Law Arthur J. Amchan’s finding that the Respondent had engaged in certain unfair labor practices, the Board adopted the judge’s findings and conclusions, and ordered the Respondent to take the action set forth in the judge’s recommended Order. Charge filed by an individual. Kern, Inyo and Mono Counties Building and Construction Trades Council (31-CE-129697) Kern, Inyo and Mono Counties, CA, January 10, 2019. Exceptions having been filed on February 16, 2016 and then withdrawn on January 7, 2019 to the December 7, 2015 decision of Administrative Law John J. McCarrick’s finding that the Respondent had engaged in certain unfair labor practices, the Board adopted the judge’s findings and conclusions, and ordered the Respondent to take the action set forth in the judge’s recommended Order. Charge filed by Golden Queen Mining Co., LLC. Hilton Resorts Corporation d/b/a Elara (28-CA-193521, et al.) Las Vegas, NV, January 10, 2019. No exceptions having been filed to the November 26, 2018 decision of Administrative Law Ariel L. Sotolongo’s finding that the Respondent had engaged in certain unfair labor practices, the Board adopted the judge’s findings and conclusions, and ordered the Respondent to take the action set forth in the judge’s recommended Order. Charges filed by individuals and International Union of Operating Engineers Local 501, AFL-CIO. In an unpublished judgment, the Court enforced the Board’s order that issued against Remco Concrete, LLC, as a single employer and alter ego of Collective RDM Concrete & Masonry, LLC, and Collective Concrete, Inc., three entities owned by members of a single family operating concrete and masonry businesses in Toms River and Jackson, New Jersey. The Board (then-Chairman Kaplan and Members Pearce and McFerran) found that the entities are alter egos and a single employer, due to their shared ownership, management, operations, and business purpose, and their interrelated finances. The Board further found that Remco violated Section 8(a)(5) and (1) by refusing to recognize and bargain with New Jersey Building Laborers District Council under the terms of Collective Concrete’s master agreement with the Union that applied to all related companies. On review, the Employer argued that the Board’s alter-ego finding was not supported by substantial evidence and that, in making that determination, the Board failed to consider its equitable defenses for why it should not be held liable under the circumstances. The Court held that it lacked jurisdiction under Section 10(e) to consider either argument. Citing in-circuit precedent and the Board’s rules and regulations, the Court noted that the Employer’s exceptions filed with the Board only summarily challenged the Administrative Law Judge’s alter-ego finding, and that the equitable defenses were forfeited because they had not been raised before the judge, but only belatedly before the Board. Mondelez Global, LLC (22-CA-174272, et al. ; JD(NY)-01-19) Newark, NJ. Administrative Law Judge Kenneth W. Chu issued his decision on January 7, 2019. Charges filed by Bakery, Confectionery, Tobacco Workers and Grain Millers International Union, Local 719, AFL-CIO. Centura Health/St. Mary-Corwin Medical Center (27-CA-216441; JD(SF)-01-19) Pueblo, CO. Administrative Law Judge Mara-Louise Anzalone issued her decision on January 9, 2019. Charge filed by Communications Workers of America, Local 7774. MV Transit and/or MV Transportation, Inc. (16-CA-110465; JD-01-19) Austin, TX. Administrative Law Judge Geoffrey Carter issued his decision on January 9, 2019. Charge filed by Amalgamated Transit Union, Local 1091 (ATU Local 1091). Sysco Grand Rapids, LLC (07-CA-206108 and 07-CA-206109; JD-02-19) Grand Rapids, MI. Administrative Law Judge David I. Goldman issued his decision on January 11, 2019. Charges filed by General Teamsters Local Union No. 406, International Brotherhood of Teamsters. Union Tank Car Company (12-RC-221465 and 12-CA-210779, et al. ; JD-03-19) Valdosta, GA. Administrative Law Judge Arthur J. Amchan issued his decision on January 11, 2019. Charges filed by International Association of Sheet Metal, Air, Rail and Transportation Workers (SMART).